JOINT BASE PEARL HARBOR - HICKAM, Hawaii (AFNS) -- Pilots from the 199th Fighter Squadron, Hawaii Air National Guard, completed their last training mission with the F-15 Eagle from Joint Base Pearl Harbor-Hickam, Hawaii Aug 25. The HIANG is upgrading to the F-22 Raptor, a fifth generation fighter, and received their first two Raptors in July. The ANG is the lead in a total force concept that already exists at JB Hickam with the C-17 Globemaster III. The 199th FS will fly and help maintain the 20 F-22 Raptors that bring another capability to the HIANG. Many of the current F-15 pilots of the HIANG are eager to start training and flying the Raptor, but will still sorely miss the Eagle aircraft, which the unit has flown since 1987, said Lt. Col. James Sage, a pilot with the 199th FS. "It's like saying goodbye to a good friend," said Colonel Sage said. "It was exciting flying it for the last time, and especially against a F-22, but at the same time the F-15 has always brought me home safely and been an outstanding aircraft." The three remaining F-15s will depart JB Hickam Sept. 1, and with that, two of the fighters will move onto the 56th Aggressors Squadron at Nellis AFB, Nev., while the other will move onto the 120th Fighter Wing of the Montana Air National Guard. The Montana unit has assumed the HIANG's air-defense mission for the next year as the HIANG transitions to the F-22 said 199th pilot Lt. Col. Mark Ladtkow. "It's somewhat a bittersweet feeling flying the last training mission of the F-15 with our unit," Colonel Ladtkow said. "I'm blessed to have the upcoming opportunity to fly the F-22, but the F-15, which I've flown for 17 years, is a friend of mine and will be missed." Colonel Ladtkow is a 20-year veteran of the military, with the last six being part of the ANG. He is slated to deliver his jet to the Montana ANG in September. "The 199th (FS) proves that National Guard forces are capable of maintaining a strategic presence with its active-duty association and providing a great value to our nation and the state of Hawaii," said Gen. Craig R. McKinley the chief of the National Guard Bureau. The F-22, a single-seat, twin-engine aircraft, which utilizes stealth technology, was originally designed as an air-superiority fighter. "These F-22 Raptors are the state-of-the-art, air-superiority fighters, and couldn't be located at a better place," said General McKinley. Looks like a person here in the US has been busted for allegedly transmitting on 296.550 MHz illegally by the FCC. This is the uplink frequency to the 255.550 MHz downlink that is part of the UFO Quebec bandplan, a known heavily used freq by Portuguese speaking pirates. The individual named below was caught using a Kenwood TM-261a mobile transceiver on 296.550 MHz. Agnaldo Aparecito da Silva Alves in Pompano Beach, Florida. The Miami Office received information that an unlicensed radio station on 296.55 MHz was allegedly operating in Pompano Beach, FL. 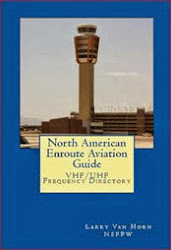 On June 3, 2010, agents from this office confirmed by direction finding techniques that radio signals on frequency 296.55 MHz were emanating from your residence in Pompano Beach, FL. During the inspection of the equipment, you admitted to owning and operating the equipment used to transmit on 296.55 MHz. Upon completion of the inspection, you voluntarily relinquished a Kenwood transmitter, model TM-261A, to the agents. Radio stations must be licensed by the FCC pursuant to 47 U.S.C. S: 301. The only exception to this licensing requirement is for certain transmitters using or operating at a power level or mode of operation that complies with the standards established in Part 15 of the Commission's rules, 47 C.F.R. S:S: 15.1 et seq. 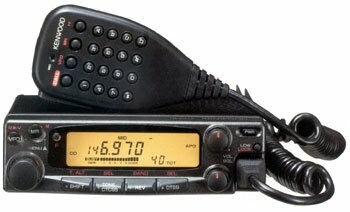 According to the Kenwood manufacturer specifications, at its lowest setting, the Kenwood radio, model TM-261A, was capable of operating with approximately 5 watts of power. Operation of the radio at this output power exceeds the limits for operation under Part 15 of the Commission's Rules ("Rules") and therefore required a license. In addition, pursuant to the Table of Allocations, the 267-322 MHz Band is allocated solely for Federal Government Use. As a non-governmental entity, you are not eligible to receive a license to operate in the 267-322 MHz Band. You are hereby warned that operation of radio transmitting equipment without a valid radio station authorization constitutes a violation of the Federal laws cited above and could subject the operator to severe penalties, including, but not limited to, substantial monetary fines, in rem arrest action against the offending radio equipment, and criminal sanctions including imprisonment. (see 47 U.S.C. S:S: 401, 501, 503 and 510). You have ten (10) days from the date of this notice to respond with any evidence that you have authority to operate granted by the FCC. Your response should be sent to the address in the letterhead and reference the listed case and document number. Under the Privacy Act of 1974, 5 U.S.C. S: 552a(e)(3), we are informing you that the Commission's staff will use all relevant material information before it to determine what, if any, enforcement action is required to ensure your compliance with FCC Rules. This will include any information that you disclose in your reply. Excerpts from the Communications Act of 1934, As Amended Enforcement Bureau, "Inspection Fact Sheet", March 2005 47 C.F.R. S: 2.106. The North American Aerospace Defense Command and its geographical component, the Continental United States NORAD Region (CONR), will conduct exercise Falcon Virgo 10-11 beginning Wednesday night in the National Capital Region, Washington, D.C. The flights are scheduled to take place between 11:30 p.m. Wednesday and 5:30 a.m. Thursday. Exercise Falcon Virgo is designed to hone NORAD’s intercept and identification operations as well as operationally test the NCR Visual Warning System. Civil Air Patrol aircraft and Coast Guard HH-65 Dolphin helicopters will participate in the exercise. In the event of inclement weather, the exercise will take place the next day. If bad weather continues, officials will then make a decision to postpone or cancel the exercise. Since Sept. 11, 2001, CONR fighters have responded to more than 3,000 possible air threats in the United States and have flown more than 57,000 sorties with the support of Airborne Warning and Control System and air-to-air-refueling aircraft. SCHRIEVER AIR FORCE BASE, Colo. -- The 50th Space Wing's 2nd Space Operations Squadron here accepted command and control of the first Global Positioning System Block IIF satellite at 9 a.m. today. The 45th Space Wing at Patrick AFB successfully launched a United Launch Alliance Delta IV-Medium rocket carrying the first Boeing-built Global Positioning System IIF satellite at 11 p.m. EDT from Space Launch Complex 37 May 27. The Global Positioning Systems Wing, a joint service effort directed by the U.S. Air Force and managed at the Space and Missile Systems Center, Los Angeles Air Force Base, Calif., remained in control of the satellite during the test period before the hand-off today to 2 SOPS. "I'm extremely honored to accept command and control of the first GPS Block IIF satellite," said Lt. Col. Jennifer Grant, 2 SOPS commander. "We are excited to have the privilege of being the first to control the next generation in global positioning satellite technology as we continue to provide our warfighters and civil users the most accurate position, navigation and timing signal available. Fielding newer and more capable systems enables GPS to remain the world's gold standard." The next-generation GPS IIF satellites will provide improved accuracy through advanced atomic clocks, a longer design life than legacy GPS satellites, and a new L5 civil signal (third civil signal) that will benefit civil aviation and other safety-of-life applications. Even though the L5 civil signal meets all requirements, per plan it will stay in development status broadcasting test data until initial operational capability is reached. A message regarding this caveat will be sent out to GPS users worldwide. It will also continue to deploy the modernized capabilities that began with the eight modernized GPS IIR satellites, including a more robust military signal. 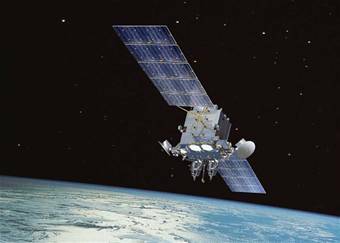 GPS IIF satellites will provide improved signals that will enhance the precise global positioning, navigation and timing services supporting both the warfighter and the growing civilian needs of our global economy. The GPS constellation remains the most robust and capable system in the history of space. The members of 2 SOPS operate the largest Department of Defense spacecraft constellation via the Master Control Station and a worldwide network of monitor stations and ground antennas. The MCS also houses a customer interface, the GPS Operations Center, which is a 24/7 user-focused center of excellence supporting a wide variety of military, civil and commercial users and applications. 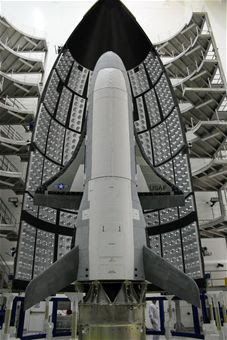 The U.S. Air Force's secretive X-37B space plane apparently boosted itself into a new orbit Aug. 9, according to reports from seasoned satellite trackers around the world, SPACE.com has learned. Little is known about the classified duties of the X-37B. However, Air Force officials did make it clear in pre-launch statements that the craft's first mission would focus on proving technologies necessary for long-duration reusable space vehicles with autonomous re-entry and landing capabilities. According to the Pentagon, a second X-37B is under construction. Built by Boeing's Phantom Works division, the X-37B space plane is just over 29 feet (9 meters) long and weighs about 11,000 pounds (5,000 kg). It stands slightly more than 9.5 feet (3 meters) high and has a wingspan of just over 14 feet (4.3 meters). The spacecraft's new mission is overseen by the Air Force Rapid Capabilities Office. The X-37B is believed to be operated by contractors under the direction of Air Force Space Command's 3rd Space Experimentation Squadron at Schriever Air Force Base. The X-37B is designed to orbit Earth at altitudes of up to 500 nautical miles, loiter in orbit for up to 270 days, then re-enter the atmosphere to make an automated landing at Vandenberg. "After the test objectives are satisfied, we look forward to a successful re-entry and recovery at Vandenberg Air Force Base, California, and post-landing refurbishment of the vehicle," said Air Force spokesman Andy Roake. "No landing date has been scheduled." And then we have this from the dean of the SEESAT-L observers and list owner, Ted Molczan, who provides some technical details of the obital shift by the winged DoD spacecraft. "One of the findings reported in the article is the apparent timing of the two orbit-raising manoeuvres to enable nearly continuous monitoring by several Air Force Satellite Control Network (AFSCN) tracking stations. Since that fact may be useful in understanding future manoeuvres, I want to provide some technical details that are not appropriate for a news article, but well-suited to this forum. "Propagating the new orbit backward to the time of its closest separation from the original orbit, revealed the mid-point between the manoeuvres, which were performed on opposite sides of the Earth, near a perigee and an apogee. "The first manoeuvre occurred on Aug 09, about 17:12 UTC, near 40 S, 98 E. The spacecraft was near the apogee of its original 403 X 420 km orbit, and manoeuvred to raise its perigee by 42 km, resulting in a 420 X 445 km orbit. Since the new perigee was greater than the original apogee, the line of apsides was effectively rotated 180 deg. "About 16 minutes later, the spacecraft came within range of the Air Force Satellite Control Network (AFSCN) tracking station at Hawaii, the first of five AFSCN stations in a position to monitor it throughout the remainder of the manoeuvre sequence. "The final manoeuvre occurred half an orbit after the first one, near the new apogee, at about 17:58 UTC, near 40 N, 100 W. The perigee was raised 12 km, resulting in a 432 x 445 km orbit. This was just before LOS by the AFSCN station at VAFB, and well above the horizon of the Colorado AFSCN station. Depending on the duration of the burn, the New Hampshire station may also have been able to monitor it directly; it certainly would have been able to monitor the results. "AOS and LOS correspond to estimated time of rise/set, 2 deg above the horizon; actual AOS/LOS depend on local terrain, not considered in this analysis. "Below are elsets documenting the manoeuvre. The pre-manoeuvre elset is derived from our last observations of the original orbit, on July 29. The two manoeuvre elsets are accurate estimates; their epochs correspond to the manoeuvre times." 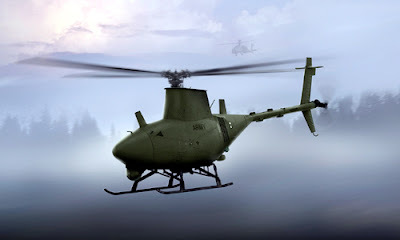 The AP and Atlanta Journal Constitution are reporting that a US Navy unmanned MQ-8B Fire Scout went off course during testing and entered restricted airspace near the nation's capital earlier this month. The aircraft was supposed to fly a preprogrammed route over the Webster Field Annex at the naval air station at Patuxent River, Md. During the test on August 2, controllers lost the link to the aircraft and it flew off route into the restricted area. According to a Navy spokesman, Lt. Myers Vasquez the craft was about 40 miles away from Washington. The Federal Aviation Administration was notified that it was a Navy craft so they were aware and monitoring it, Vasquez said. The E-6B Airborne Strategic Command, Control and Communications Program Office (PMA-271) teamed with the Oklahoma City Air Logistics Center’s 566th Aircraft Maintenance Squadron (566 AMXS) from Tinker Air Force Base, Okla., and In-Service Support Center in Jacksonville, Fla., to complete their first Service Life Extension Program (SLEP) modification on an E-6B Mercury aircraft. Jeff Base led the modification, performed at Tinker AFB, which extends the E-6B’s originally planned service life of 27,000 flight hours to 45,000 flight hours. "Due to the combined efforts and exemplary work provided by NAVAIR engineering and the artisans of ALC, the E-6B Service Life Extension Program has increased the predicted flight time by over 20 years for this necessary strategic airborne asset," said Capt. Bob Roof, PMA-271 program manager. The Mercury aircraft is among the last Boeing 707s built and began operating with Fleet Air Reconnaissance Squadrons THREE and FOUR (VQ-3 and VQ-4) in 1988. They replaced EC-130 Hercules aircraft and started operations in support of the Take Charge and Move Out "TACAMO" mission, which provides reliable, survivable and endurable communications for the Navy’s Submarine Launched Ballistic Missile fleet. The E-6 later assumed U.S. Strategic Air Command’s Airborne Command Post mission from the EC-135 "Looking Glass" aircraft. During the past decade, several additional missions, and the communications equipment to support them, have been added to the E-6B. All of these requirements, combined with a high usage rate, forced PMA-271 to either extend the aircraft’s service life now or plan to replace it beginning in 2018. The SLEP modification will allow E-6Bs to continue operating through 2040. The Navy’s In-Service Support Center provided all engineering support during the first modification. Bernard Walker led the Navy engineering team during the first SLEP modification and during the three-year planning phase. With help from Boeing and Andromeda Systems, the team narrowed the original list of more than 100 critical locations on the aircraft requiring rework to the 14 locations reworked on the first SLEP aircraft. Fatigue Technology also provided critical engineering, tooling, and training for the actual cold-working process. The first SLEP modification took six months to complete. The modification was similar to work typically done by the 566 AMXS, but the cold-working process directed by the Navy to strengthen the fastening holes required additional work and inspections. The 566 AMXS conducted training prior to and during the modification to ensure all Navy requirements were met. The SLEP crew replaced original fasteners with interference-fit fasteners and cold-worked 14,383 holes while performing the twelve individual modification directives that comprise a single SLEP. The 566 AMXS also provided all logistics support, local program management, scheduling, and touch labor. The 566 AMXS will perform the same modification on the remaining 15 Mercury aircraft at Tinker AFB with the last SLEP finishing in 2015. "We are extremely pleased with the overall work performance and are particularly impressed with the partnership our Fleet Support Team is developing with the 566th leadership and artisans," said Lt. Cmdr. Greg Kayser, logistics deputy for the STRATCOMM WING ONE. "Their support is critical to both current and future readiness." "We really aggressively pursued and accomplished success on the first SLEP aircraft," said Bill Cain, 566 AMXS deputy director for E-3 services. "Although this airplane scheduled maintenance went longer than anticipated, everyone agrees that we have been able to hammer out a lot of the learning-curve issues, the bugs of doing this for the first time." OSAN AIR BASE, South Korea (AFNS) -- Exercise Ulchi Freedom Guardian, the world's largest command and control simulation exercise began Aug. 16 and continues through Aug. 26. According to senior Combined Forces Command officials, the annual joint/combined command post exercise is designed to improve the Republic of Korea and U.S. alliance's ability to defend the Republic of Korea. The complex computer simulation exercise aims to train deployed and permanent party servicemembers while refining senior leaders' decision-making capabilities. In total, more than 27,000 U.S. joint forces and 500,000 ROK forces participate in the annual exercise throughout the peninsula. Osan Air Base's Korea Air Simulation Center plays a critical role in simulating the air component portion of the exercise. "The bottom line is that we're here to train the warfighter," said Lt. Col. Gary Denny, who serves as the Korea Air Simulation Center director. "There are many simulation centers here in Korea and the United States participating in this exercise, but we're the lead for the air model (simulations)." Scott Lovelace, simulation manager within the KASC, said more than 40 U.S. simulation centers around the world make up the complex exercise network which also incorporates a similar ROK system. "It's the largest simulation system in the world," he said. "There's no other type of exercise that creates this type of virtual battle space. Here, we are in a 'fight tonight' mindset and we can't afford to get this simulation wrong." Col. Patrick Matthews, 7th Air Force director of programs and analyses, said exercises like UFG and Key Resolve/Foal Eagle provide critical readiness training at a base where most Airmen rotate in and out in a single year. "I've been to the Warrior Preparation Center in Germany and seen its capabilities, but the system in place here has always been the gold standard," he said. This year marks the 34th anniversary of the joint/combined exercise. In July 1976, ROK forces officials combined Exercise Ulchi with the United Nations Command and its U.S. allied forces Exercise Focus Lens. Exercise Ulchi-Focus Lens, as it was called until its name changed in 2008, was designed to enhance ROK-U.S. interoperability by training commanders and staff from both countries in wartime planning, command and control operations, intelligence, logistics and personnel procedures required for defending the Republic of Korea. On the Washington Post website in Jeff Stein's Spytalk section, there is an interesting article on the ANG 193rd Commando Solo aircraft. The last part of the article went a little wide afield, "Occasionally, however, information surfaces to suggest that NORTHCOM has co-mingled civil defense and domestic psychological warfare functions, raising Orwellian suspicions among some." But the big headline in this article is the mission change in June. ". . . when the name of the mission was changed to a more civilian-friendly “Military Information Support Operations,” or MISO. "Under any name, the planes are equipped to broadcast radio and television messages to target audiences, including in the United States. "Although the unit’s main mission is foreign, to counter an adversary’s propaganda or propagate our own (such as all-is-lost surrender messages aimed at Iraqi troops), the 193rd is also ready to spring into action domestically under the Defense Department's Northern Command, or NORTHCOM, which was established in Colorado Springs, Colo., after the Sept. 11, 2001, attacks." You can read the rest of the copyrighted story online at the link below. WASHINGTON - The United States and South Korea announced a new set of military exercises that will be held in the Yellow Sea early next month, a Pentagon official said here today. South Korean and U.S. forces will participate in anti-submarine warfare exercises. It is too early to detail what surface ships, submarines and air units will participate, Pentagon spokesman Bryan Whitman said. The exercise is a direct outgrowth of a North Korean submarine sinking the South Korean frigate Cheonan in March. The attack killed 46 South Korean sailors. In the "2-plus-2" meetings held in the South Korean capital of Seoul last month, South Korean Foreign Minister Yu Myung-hwan and Defense Minister Defense Kim Tae-young met with Secretary of State Hillary Rodham Clinton and Defense Secretary Robert M. Gates to discuss ways to demonstrate to North Korea the solidarity of the American alliance with South Korea. "We said we would continue a series of exercises – defensive in nature – that are designed to send a clear message to North Korea," Whitman said. The exercise, to be conducted in international waters, will focus on anti-submarine warfare tactics, techniques and procedures. "It will be conducted in the waters off the western coast of South Korea," Whitman said. "This exercise is designed to improve the readiness and proficiency of U.S. and [South Korean] forces to defend against subsurface attacks." As it builds on an already strong foundation of interoperability and flexibility, Whitman said, the exercise will strengthen the U.S.-South Korean alliance. "Broadly, what it does is reinforce our resolve to stability and security of the region," he added. China has objected to U.S. exercises in the Yellow Sea, though the United States military has exercised there for decades. "China has no reason to view this exercise or this series of exercises as a threat to its security," Whitman said. "These exercises are intended to deter North Korea from future destabilizing attacks such as occurred with Cheonan and assure the region of [U.S. and South Korean] resolve to maintain security and stability on the Korean peninsula." The Coast Guard is scheduled to hold a ceremony and demonstration of the new Rescue 21 communications system at the Coast Guard Yard in Baltimore, Thursday. The Coast Guard created Rescue 21 to better locate mariners in distress and save lives and property at sea and on navigable rivers. 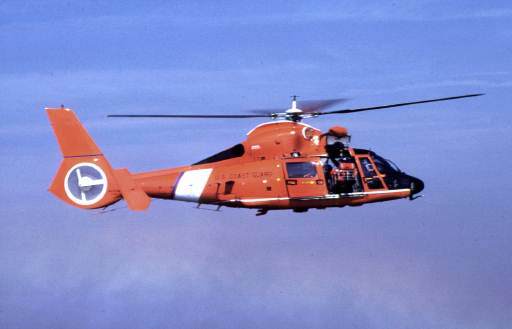 General Dynamics C4 Systems was awarded the Rescue 21 production contract in September 2002. Rear Adm. Ronald J. Rábago, the Coast Guard’s assistant commandant for acquisition, will join Capt. Mark O'Malley, the commanding officer of Sector Baltimore, to explain how Rescue 21 is enhancing mission execution and maritime safety along the coast of Maryland, Northern Virginia, Washington, D.C., and the upper Chesapeake Bay. Additional remarks will be delivered by Rep. Elijah Cummings, who serves as chairman of the House Transportation and Infrastructure Committee’s Subcommittee on the Coast Guard and Maritime Transportation; Brig. Gen. Annette Deener, director of joint staff for Gov. Martin O'Malley; and Donald Wilt, senior director of Federal-Civil Programs for the National Systems Division of General Dynamics C4 Systems. “The Rescue 21 system harnesses today’s cutting-edge technology, and enables the Coast Guard to execute all missions, especially its search and rescue mission, with greater agility and efficiency," said Capt. Mark O'Malley. "The Rescue 21 system has increased communication coverage and offers advanced direction-finding capabilities, which significantly reduces the size of our search area." More information about Rescue 21 can be found by visiting http://www.uscg.mil/acquisition/rescue21. CAPE CANAVERAL AIR FORCE STATION, Fla. (AFNS) -- A team from the 45th Space Wing successfully launched the first Advanced Extremely High Frequency satellite onboard an Atlas V launch vehicle from Launch Pad 41 here Aug. 16 at 7:07 a.m.
"This is an historic launch of an important asset to our nation's military and our allies," said Undersecretary of the Air Force Erin C. Conaton. "The AEHF satellite will provide secure, protected communications capability across the spectrum of mission areas, including land, sea and air warfare. Its benefits will be felt in special operations, strategic nuclear deterrence, strategic defense, theater missile defense and space operations and intelligence. "The 45th Space Wing and the Space & Missile Systems Center deserve praise for their great work," she said, "and I also applaud the teamwork between the Air Force and its partners involved in making this mission a success." The commander of the 45th Space Wing also praised the work involved in making this launch a success. "We have an outstanding launch team assembled here on the Space Coast that truly sets the standard for others to follow; it has been a privilege to work on this mission," said Brig. Gen. Ed Wilson. The 45th Space Wing's mission is to assure access to the higher frontier and to support global operations by delivering space effects that protect and defend the nation through global vigilance, reach and power. KANGERLUSSUAQ, Greenland (AFNS) -- It takes more than a skilled pilot, experienced in flying in polar conditions, to deliver millions of tons of fuel, food, people and cargo to the remote science outposts both here and in Antarctica. The Airmen of the New York Air National Guard's 109th Airlift Wing deliver that annually as they support the National Science Foundation's research efforts in both polar regions. The polar pilots face some of the harshest weather conditions on Earth as they travel to places where no other pilots have gone, taking off and landing in planes equipped with skis instead of wheels. But they acknowledge that while they guide the nose of the plane, it takes a team to deliver the goods. It's up to the crews to get the cargo on, off and keep the planes flying. It's a mission that nearly always puts the plane at maximum load, and the weather conditions place a heavy strain on its components. Crew chiefs, avionics specialists, electricians, engine and hydraulic mechanics, loadmasters and engineers, to name just a few, all work in sync to keep the planes flying. Many of the skills are passed down from the older crewmembers who have decades of experience. Some have spent more than 25 years working on the same aircraft. "It's a constant passing down of experience and knowledge," said Senior Master Sgt. Brian Bik, the supervisor of maintenance on a recent rotation to Greenland. The crews learn each aircraft's personalities, Sergeant Bik said. They know what to look for based on their years of experience with the craft. Sergeant Bik has been going on rotations to Greenland since the early 1990s, and said he can't remember how many trips he's actually made to the Arctic Circle. On a two-week rotation, there are more than 20 maintenance troops on the ground, working two shifts to accommodate the planes coming and going. They bring all of their own parts, and are sometimes forced to fix the planes in the harshest conditions. There are no heated hangars to work out of. All work is done outdoors, sometimes in temperatures that drop well below zero. They are taught how to survive on the ice sheet if they have to recover a stranded plane. The cold weather strains the planes' components, Sergeant Bik said, and the open snow landings beat up the skis' hydraulics. The unit keeps desk-sized heaters to warm the plane's parts to allow crews to work on them. The crews don't put special emphasis on the planes because of the dangerous mission; they do it because of their routine high standards, resulting in their impeccable safety record, Sergeant Bik said. "It's just the norm; it's just the way we do it," Sergeant Bik said. "I never want it on my conscience that my lack of doing my job correctly caused the airplane to go down or the loss of a crewmember." In the air, the loadmasters and crew members provide extra eyes to help in talking the pilot down when visibility is poor. "It's almost kind of like an orchestra when you hear our approach to landings," said Senior Master Sgt. Shad Gray, a flight engineer who has been flying here with the unit since 1985. On approach, everyone in the crew is scanning for signs of the runway and chiming in on altitude, glide path and wing level, he said. Sergeant Gray compared working in the icy environment to the "wild west." "We're up here on our own, so everything we do, we have to do with what we have in our backpack, what we have on the airplane," he said. "There are times when we're out on the ice cap and something goes wrong and we have to fix it. You don't call in a specialized team to come in and take care of it." On the ground, almost all loading and unloading is done with the plane's engines running. This makes a dangerous job a little more chaotic. Because of the deafening roar of the engines, all communication is through hand signals. Leaders attribute the unit's experience to the ability to get the job done safely and quickly. "After time, you know what needs to be done," said Master Sgt. Carmelo Modesto, a loadmaster who has been flying missions to Greenland since 1998. On the ice, at thousands of feet above sea level, hypoxia becomes the enemy. The crew exerts energy just to stay warm, and when loading the planes, the problem is exacerbated. Before the servicemembers know it, they are turning gray because of the lack of oxygen flowing through their veins. "You're in the moment, so there's a lot of adrenaline," Sergeant Modesto said. "Sometimes you have to tap your buddy on the shoulder and say, 'Your lips are purple, you're gray, go get some oxygen.' You just don't realize it. You start to gray out." Sergeant Modesto said the crews enjoy the freedom of their job, traveling to places where they have only their skills to rely on. "Normally, you're in the 'system' (and) there's support everywhere," he said. "Things are just a radio call away. When we come up here, we come up with everything we need." Because of their experience, the crews know what things they need to bring to them through a mission. For example, they keep kits on the planes with nearly every size of hydraulic line that fit the plane. But sometimes, they have to create fixes. Tin cans stripped of the top and bottom can be used to seal damaged ductwork, Sergeant Modesto said. "You're only relying on yourself," Sergeant Modesto said. "It's very infectious. You don't see a lot of people leaving here and going to other missions. It's part of our life." A good day on the job ends "sleeping in your own bed -- not on the ice cap in a tent in a bag somewhere," Sergeant Modesto said. But that speaks more to the crew's desire to see each mission through. Nothing is more disappointing for them than going through all of the efforts to drop supplies and fuel at a remote outpost and having to turn back because of weather. "That's definitely one of the bummers," he said. "If we go out to do a mission and we can't do it, they're not calling somebody else. It's us or it's nobody." The Global Hawk, set to make its maiden voyage high above a hurricane this month, can stay aloft much longer than manned flights and fill vital data gaps that forecasters need to predict whether storms will strengthen into hurricanes. Scientists liken the drone to a roving low-orbit satellite that will give unprecedented glimpses inside storms. It can fly about twice as high as a commercial airliner and scan an area the size of Illinois in only 24 hours. "We can hardly hide our excitement," said Ramesh Kakar, a program scientist at NASA in Washington, D.C. "We can learn a lot from this sustained look." While expensive -- the drone alone is about $35 million, not including support systems and payload -- researchers say Global Hawk should pay off in hurricane damage averted through earlier, more accurate warnings about storm intensity. That's considered the holy grail of hurricane research. "Our forecasts of where the hurricane is going to go has improved significantly," said Scott Spratt, a National Weather Service forecaster in Melbourne. "But as far as the intensity, there's been very little improvement year to year." The drone is among three NASA aircraft that will give real-time, sustained views of budding hurricanes. NASA is pumping $4 million this year into the project, called the Genesis and Rapid Intensification Processes (GRIP), and also plans to fund instrument development and data analysis later. About $1.3 million of this year's money is for the Global Hawk portion of the campaign. Three additional aircraft from other federal agencies will fly hurricane missions as well, for as many as six planes probing a single storm at once. Manned flights typically yield about four hours of data collection for a forming storm, the GRIP researchers said. But Global Hawk is fitted with 3-D radar, a microwave radiometer and other sophisticated instruments that enables them to gather data over tropical systems for up to 20 hours. According to Kevin Fetter on the SEESAT newsgroup, the first AEHF communications satellite is scheduled for launch tomorrow Aug 14 between 1106-1306 UTC. Propagation Alert: Will it hit Earth?